Snooker World Cup is coming closer to the end! Eight projected seeds continued their competition for the honour of their nations today! 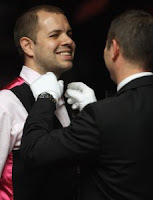 match against Fergal O'Brien without a bow-tie. However China team did have better performance than Ireland. 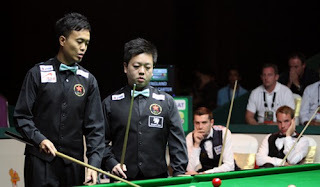 The two Chinese made 70, 59, 46 and 45 in the the frame they won to secure the win. Australia team was defeated by the Welsh pair by 2-4 but Australia's Neil Roberston tipped his opponent to win this tournament. "Wales are one of the favourites and we did pretty well. I had a bit of an off day but we dug in deep and almost took it to the decider.'' Robertson said. Robertson also added, "The Welsh team are looking good and I think they'll go on to win it. They have the world number one and Matthew Stevens as well and they're good friends off the table which is important." Wales is going to meet China in the semi-finals tomorrow. Northern Ireland stopped Scotland's hope to win the $200,000 top prize of the tournament. 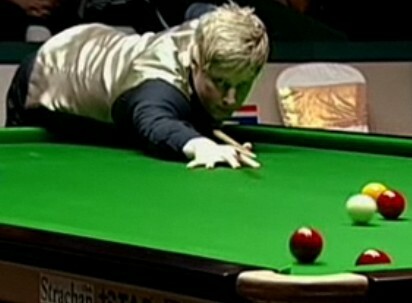 Scotland lost 3-4 despite forcing a decider by the final black in the sixth frame. 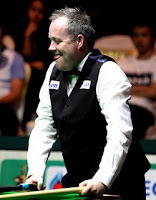 However, Mark Allen beaten John Higgins in the sudden death singles. Mark Allen is not surprised with the victory and believed the better team won. He said: "Scotland were the tournament favourites and we put pressure on them as a team and we deserved to win.'' "It was good to put a show on for the watching fans and the match was played in good spirits. Another hot-tipped team England was out! The team consists of Mark Selby and Ali Carter were surprisingly defeated by Hong Kong, formed by Marco Fu and amateur Fung Kwok Wai by 4-3. Hong Kong once led England by 2-1 but England fightback to lead 3-2 for the first time. The sixth frame was an exciting safeties display. 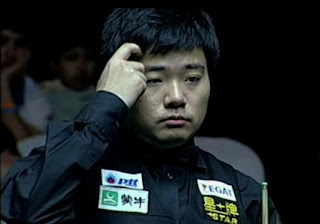 Hong Kong led 54-4 in the begining but England found advantages by brilliant snookers. England was rewarded 43 foul points but it did not stop Hong Kong winning the frame. Hong Kong cleared the table after a mistake by the England team to level the match 3-3. Marco Fu and Mark Selby were sent to play the sudden death singles. Fu had a consistent performance in the decider, eventually won the match 4-3. We have two teams from Asia in the semi-finals, China and Hong Kong. Will it be the first time that an Asian team is going to win the World Cup? Stay tune for the winner of PTT-EGAT Snooker World Cup!